I have been an Angelic Reiki Master/Teacher since 2015 and enjoy delivering this form of healing modality. 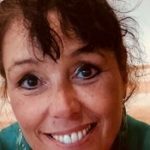 I have been delivering healing to clients in different areas of the UK and am now ready to start to teach clients in the local area and other areas of the UK and Europe. I deliver training in small groups to help keep the purity of my healing as well as helping my students to learn the best they can.